Pauline Ikenberry Riley, 95, passed away on April 2, 2011, in Denver, Colorado. She was born in Overbrook, Kansas, on September 22, 1915, the daughter of Jesse and Leah Ikenberry. She was their last surviving child. She married John L. (Jack) Riley in 1936. They lived in Lawrence, Kansas. In 1969 they moved to Longmont, Colorado, and then later to Golden, Colorado. She was an Avon Representative and a homemaker. 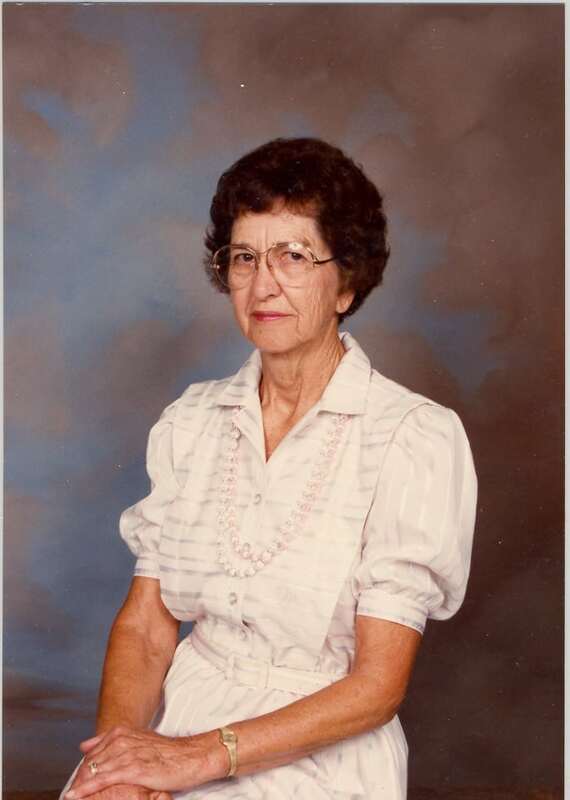 Pauline was preceded in death by her husband of 67 years, Jack Riley, in 2004, and her 8 siblings, Lola, Rova, Ora, Ira, Josephine, Pearl, Merle and Hazel. She is survived by her 2 sons, Jim Riley of Houston, Texas, and Mike Riley of Arvada, Colorado; 6 grandchildren, David Riley, Jason Riley, Allison Riley Grover, Tammy Debry, Meighan Kerr and Delaney Lawless; 14 great-grandchildren; and one great-great-granddaughter. A Memorial Service to celebrate Pauline’s life will be held at 2:00 p.m. on Saturday, May 21, 2011 at Olinger Woods Chapel, 1100 Washington Ave in Golden, CO. In lieu of flowers, contributions may be made to the American Cancer Society in her memory. Arrangements under the direction of Olinger Woods Chapel, Golden, CO.